These are the images I carry in memory that form my understanding of passion and compassion in science: Rachel Carson waking at midnight to return to the sea the microscopic marine organisms she has been studying, when the tidal cycle is favorable to their survival; John Muir clinging to the upper branches of a tall pine during a violent storm, reveling in the power of natural forces. Although I did not observe these events, reading about them created a persistent memory—because I share the passions underlying these actions. Other events of which I have never read a description but can imagine: Clair Cameron Patterson, painstakingly developing the basis for geological chronologies based on the decay rates of radioactive elements, working largely in the rational environment of a research lab. At some point during his research, Patterson becomes aware of pervasive lead contamination in soil, air, water, and the tissues of living organisms. And then a different kind of passion drives him to act on his knowledge as he undertakes a long struggle to alert others to the deadly effects of leaded gasoline, as he does so enduring personal vilification in the often irrational world of human society. Another imagined vignette: Robert MacArthur and E. O. Wilson developing the mathematical equations underlying the concept of island biogeography during lively discussions over a pad of paper or a chalkboard. Usually only mathematicians find beauty in equations, but the implications of those equations can create beauty for all of us. The equations of island biogeography gave rise to the realization that the number of species able to persist in a protected area depends partly on the size of that protected area, thus providing an important planning tool for conserving ecosystems. Wilson, in particular, has lived long enough after developing these equations to argue passionately for the importance of protecting ecosystems and organisms. Rachel Carson, author of Silent Spring. Official photo as FWS employee. c. 1940 from the US Fish and Wildlife Service. Public Domain via Wikimedia Commons. Passion and compassion underlie environmental science. Passion, because no one carefully records the annual arrival of the swallows, as Gilbert White did in 18th century England, or spends 738 days living in a redwood tree slated to be logged, as Julia Hill did in the 20th century United States. What could be more worthy of time and energy than understanding and protecting the natural world? Compassion, because although those who strive to understand and protect non-human lives ultimately benefit humanity, they can see past the human-centered world view that blinds so many of us to other organisms’ inherent right to exist. Rachel Carson could simply have discarded the water containing those microscopic creatures. No one would have known and marine ecosystems would have continued unchanged. But because Carson possessed passion and compassion, she protected those, at least to us, most obscure of lives, and she wrote the best-selling books The Edge of the Sea, Under the Sea-Wind, The Sea Around Us, and Silent Spring, which changed how we view and interact with the world. The people behind the words and numbers of environmental science care deeply about something beyond themselves and beyond the immediate needs of other people. 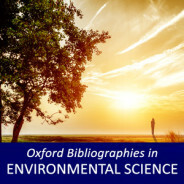 The key figures of environmental science engage intellectually with seemingly abstract concepts that, over long time spans and large spatial extents, create concrete results. Half a century ago, few people gave any thought to the chemical composition of Earth’s atmosphere. Now, thanks to the measurements and numerical models of carbon dioxide levels in the air at Mauna Loa, Hawaii and ozone levels over the poles, even the most scientifically ignorant politicians argue vehemently about atmospheric chemistry and warming climate. Individual scientists such as Paul Crutzen and James Hansen created the measurements and numerical models and, most importantly, raised awareness of the phenomena represented by the measurements and models. 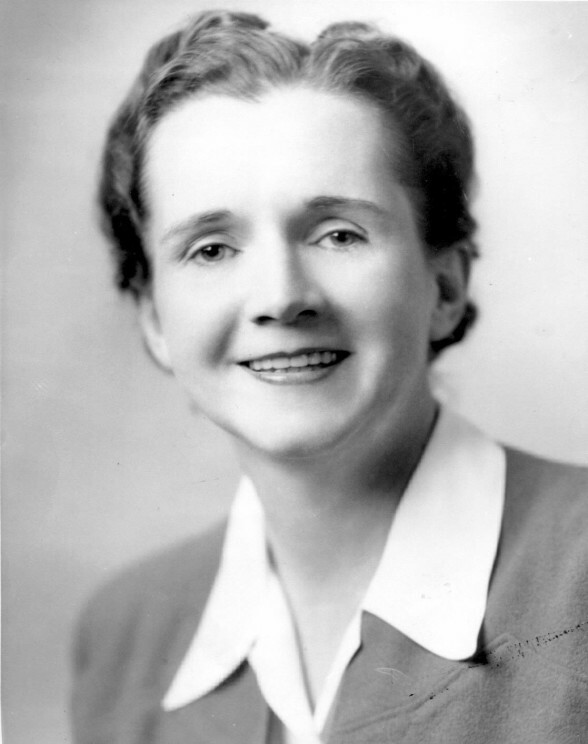 Similarly, despite Rachel Carson’s pioneering writings about pesticides, half a century ago, only dystopian fiction writers might have imagined a future in which freshwater fish exhibited both male and female physiological traits, girls as young as two started growing breast buds, and rates of cancer shot up to 40% of the population in high-income countries. Now, the research and writing of scientists such as Theo Colborn, John Cairns, and Sandra Steingraber have made people increasingly aware of the ubiquity and dangers of endocrine-disrupting synthetic chemicals in our food and water. A pair of quotes encompasses the passion and compassion of environmental science. First are William Blake’s lines, “To see a world in a grain of sand and…hold eternity in the palm of your hand.” Most scholars focus on a narrow portion of the enormous spectrum of intellectual enquiry, spending a life understanding how rivers process nutrients from the surrounding uplands or how elephants communicate with one another and structure their family groups. But this narrowly focused, deep research is the telescope or microscope through which we perceive worlds otherwise invisible to people. The research allows us to become more fully aware of the rich, complex planet on which we live. The second quote is Aldo Leopold’s famous lament, “One of the penalties of an ecological education is that one lives alone in a world of wounds.” The insight of deep research leads to awareness of how the cumulative activities of billions of people are altering our rich, complex planet, tearing ragged holes in the fabric of ecosystems as we drive increasing numbers of species to extinction, clear native vegetation and reconfigure surface topography across vast swaths of Earth’s surface, and dam the flow of rivers. Awareness, coupled with passion and compassion, drives those who seek to educate others and to act on behalf of the natural world, whether that action takes the form of a book, testimony at a governmental hearing, or protest at a threatened site. Who would choose to live alone in a world of wounds if they could act to heal those wounds? Featured image credit: BlueMarble-2001-2002. Public domain via Wikimedia Commons. Ellen Wohl is Professor of Geology in the Department of Geosciences at Colorado State University. She is Editor-in-Chief of Oxford Bibliographies in Environmental Science, Associate Editor of Earth Surface Processes and Landforms, and a Fellow of the American Geophysical Union and the Geological Society of America. She has published several books on rivers and environmental issues, including Virtual Rivers, Disconnected Rivers, A World of Rivers, Island of Grass, Of Rock and Rivers, and Wide Rivers Crossed. Great article! Thanks for sharing these peoples! They played a vital role in environmental science.